Shopping for a luxury vehicle should be an unforgettable experience. 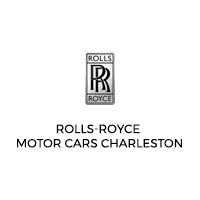 From your first search online to your first-year inspection, the team at Rolls-Royce Motor Cars Charleston in Charleston, South Carolina, is here for you. With new cars for sale like the Rolls-Royce Cullinan, the Rolls-Royce Dawn, and the Rolls-Royce Phantom, you can drive home in a vehicle that’s sure to excite. Our enticing new models feature all of the latest tech and innovations, and we also are a destination for luxury used cars. If you’re looking for high-end features and performance on a like-new model, check out our CPO inventory. With helpful online resources, our finance center allows you to fill out a loan approval form online to prequalify. If you need repairs or maintenance, our service center can handle everything from oil changes to muffle replacement to collision repair. If you’re ready to enhance your experience on the road, look to Rolls-Royce Motor Cars Charleston. Contact us online today or call (843) 628-2613 with any questions.